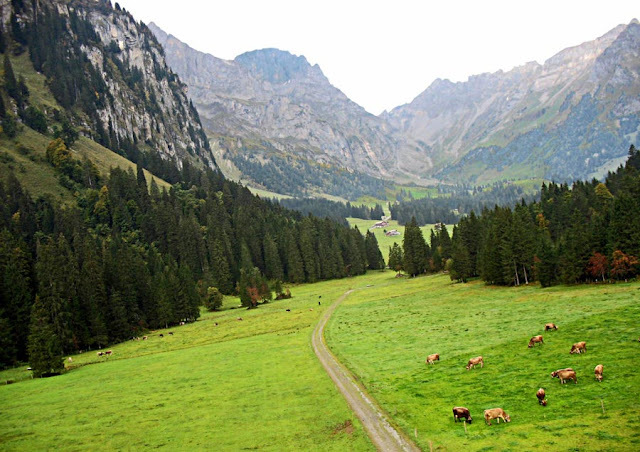 These are photographs of cattle in a pristine countryside. 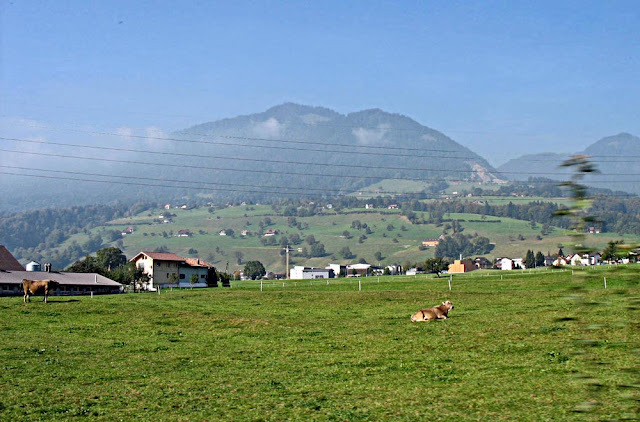 In the first picture you can see a single cow sitting peacefully in the middle of a green field, a scenic place near Lucerne, in Switzerland. In the background you can see the Alps. Small houses dot the green and peaceful countryside. A shot taken from one of the cable cars going up to see the snow clad mountains in Switzerland. The contrast in the scenes is amazing. The bluish tint of the far off mountains and the dark green of the fir trees on the mountainside in the foreground. Also the lush green grass which cattle is feeding on. The cows are brown in colour. This picture is of the English countryside. 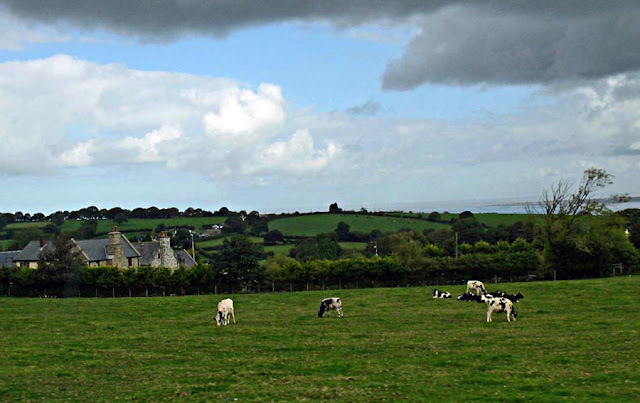 The white cows with black dots are grazing in a field next to the highway in Wales, Great Britain. This image is quite spectacular because the black and white cattle is almost merging with the background of gray gravel. 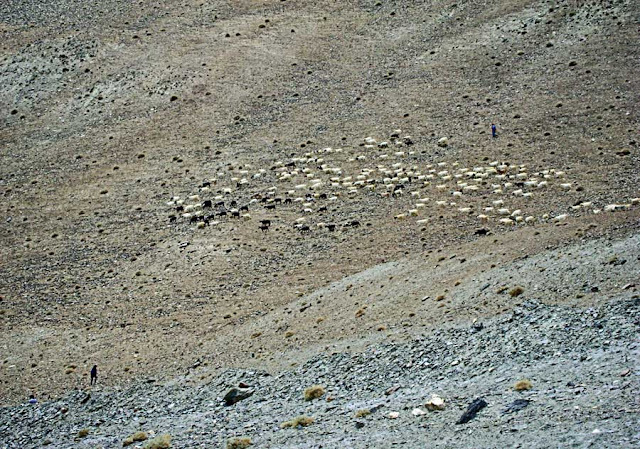 This photo was taken in Leh Ladakh. One can only wonder at the tiny bits of vegetation the cattle has to forge on! 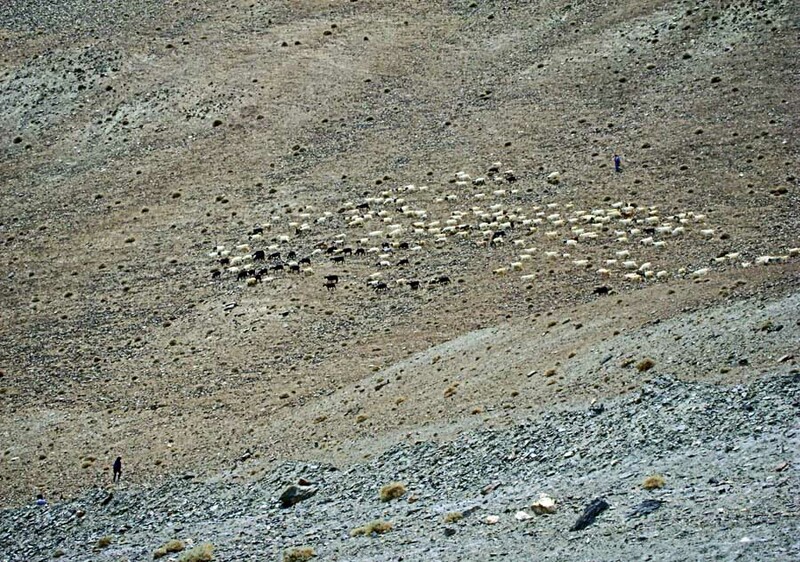 Tiny figures of humans can be seen on either side of the cattle on this gravely mountainside. Or Stray Dogs Pictures or try the label "Animals" for pictures of wild as well as domesticated animals.